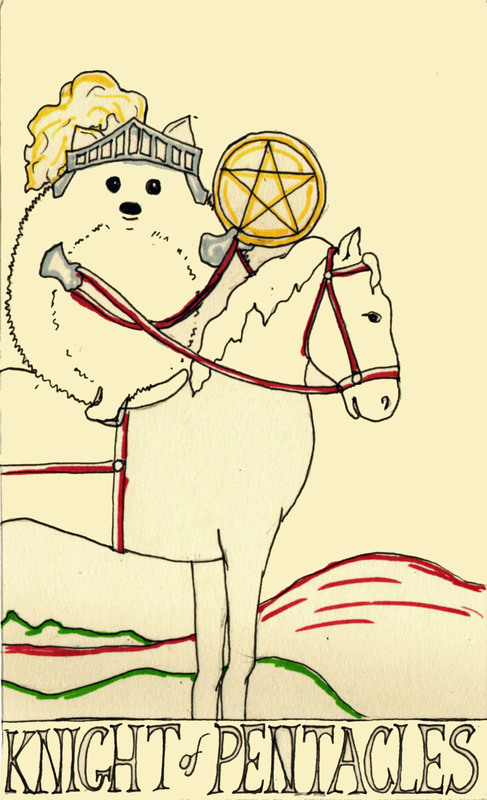 Ye olde Tarot continueth. Pentacles Knight and Queen. Again, I’m just going to say that there are too many damn letters in Pentacles. Nearly done, though! 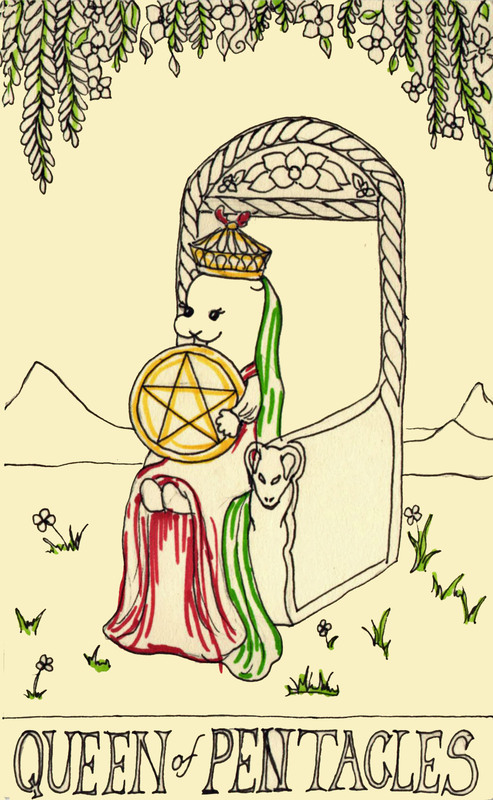 This entry was posted on March 23, 2015 by naralesser and tagged hedgehogs, otter, pentacles, tarot.